The Good Friends of Jackson Elias are back with an explosion of two-fisted adventure, daring escapes and gratuitous Zeppelins! To coincide with the impending release of Pulp Cthulhu, we discuss what pulp means to us and how it contrasts with purist play. We then go into some detail about what to expect from Pulp Cthulhu and how it differs from everyday Call of Cthulhu. And then finally we punch a Nazi in the face, because pulp. Catching up on The Good Friends, now that I'm current with MU Podcast. Just hit this episode (For the second time: I was well into it, then lost my place when I fell asleep with it playing, so I have to start again.) I almost think that Howardian Horror. I read Black Caan, a collection of Howard's weird fiction and it matches how I was running my very pulpy, two-fished Cthulhu games. Also I feel like Pulp has some bias in it, with people looking down on it. Also, I find the podcast is conflating two things: Ability to succeed and how investigative your game is. I've run some very pulpy, low-action games that depended on library use rolls. I don't think those two things necessarily conflate, though I agree it would be very strange to have a purist game that had a lot of action in it. Canageek wrote: Also, I find the podcast is conflating two things: Ability to succeed and how investigative your game is. I've run some very pulpy, low-action games that depended on library use rolls. I don't think those two things necessarily conflate, though I agree it would be very strange to have a purist game that had a lot of action in it. That's a good point. I think part of the confusion is that "pulp" means so many different things to different people that it becomes difficult to pin down a single style of play. I've certainly seen Cthulhu games with competent protagonists described as pulpy, although I wouldn't always agree on this front. Canageek, I think there's something to the idea that some people look down on pulp. Or rather they do in a horror/Cthulhu context at least. 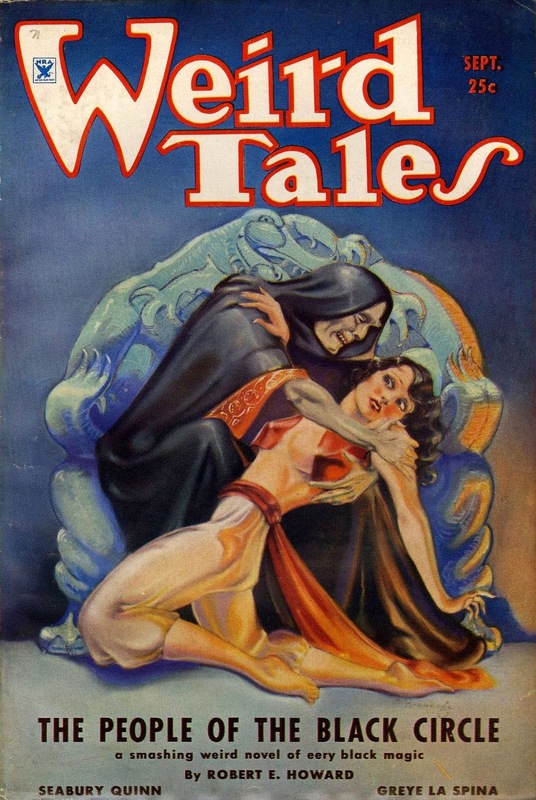 Some horror stems from powerlessness, and pulp characters being relatively powerful. My idea of a pulp game is one where everything is fast-paced and somewhat blatant (like the secretary going "Oh dear! I seem to have mislaid Mr. Blake Pharaoh's important documents!"). Violence is usually quite blatant, which is why I often think of pulp and two-fisted as synonymous. They aren't, as you point out. They are however unsubtle and attention-grabbing, I think.